Research led by the University of Southampton has found that early humans were driven by a need for nutrient-rich food to select ?special places? in northern Europe as their main habitat. 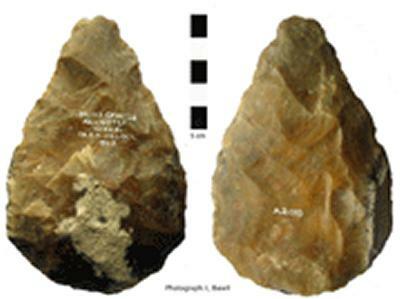 Evidence of their activity at these sites comes in the form of hundreds of stone tools, including handaxes. The project was funded by English Heritage and the University of Southampton’s Faculty of Social, Human and Mathematical Sciences. It involved academics from Geography and Environment and Medicine at Southampton, together with Archaeology at Queen’s.